The falketind warm1 stretch Zip Hoodie is a light weight fleece jacket and one of the thinnest midlayer in the falketind collection. 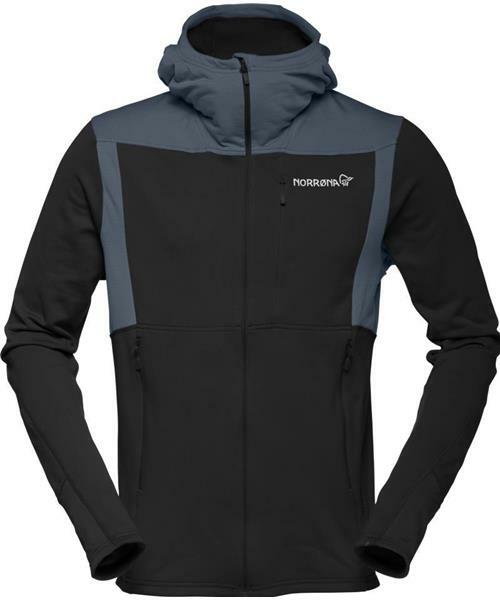 The soft and pill resistant zip hood is made of durable recycled polyester fabric with excellent warmth-to-weight ratio. Stretch fabrics on the shoulders, under arms and in the back provide a good fit and flexibility. It has practical features like two hand warming pockets, integrated wrist gaiters and a neat chest pocket. The practical hood has a close fit and provides good coverage and warmth.